This is a real bombshell. Since obesity is 90% of the time the result of overeating all sorts of heavy cards combined with fat, the bypass surgery has a direct consequence on the food intake. As for the longer-term diabetic remission rates, the latter should be confirmed if patients change(d) their diet for good. So there is no reason as why the 90% remission rates shouldn’t be permanent. We can now add diabeties to the list of diseases being induced by our moder lifestyle, just like cancer . But science nor big pharma are going to advocate for stress reduction, that working until we drop is no longer an option, and that wholsome food is medicine. Neither is the same medical monopoly going to say cancer feeds on glucose and that the first thing to do when diagnosed with cancer is to go keto completely. The cancer -sugar link is not new, was discovered in the 1920s already, but since sugar is addictive and thus a lucrative industry, gluttony and greed took over. 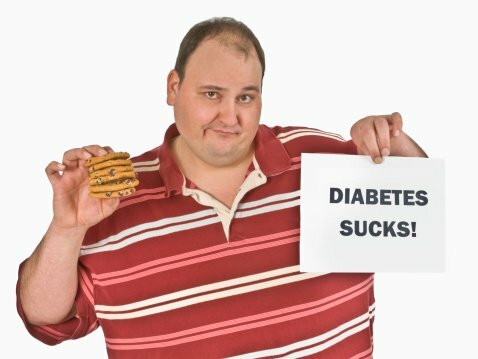 The horror now is that diabetes is way more lucrative than cancer. Time to rethink the entire food industry and start eating consciously!! Cancer may not depend on natural factors, as British scientists claim it is largely a man-made disease caused by lifestyle factors like diet and pollution. (2018) Western cultures today enjoy a diet rich in the delicacies that our ancestors did not consume on a regular basis such as grain, sugar, and starch. Research continues to show that sugar is the main source of fuel which feeds cancer and contributes to an inflammatory environment. Sugar essentially increases the risk for cancer and disease. Dr. Otto Wartburg and other health experts have been talking about how cancer loves sugar since the 1920s, but surprisingly many doctors don’t tell their cancer patients that as long as they continue to eat processed foods full of the stuff, they will likely have a more difficult time fighting this disease…. The United States Department of Agriculture (USDA) reports that the average American consumes between 150 to 170 pounds of refined sugars in one year!